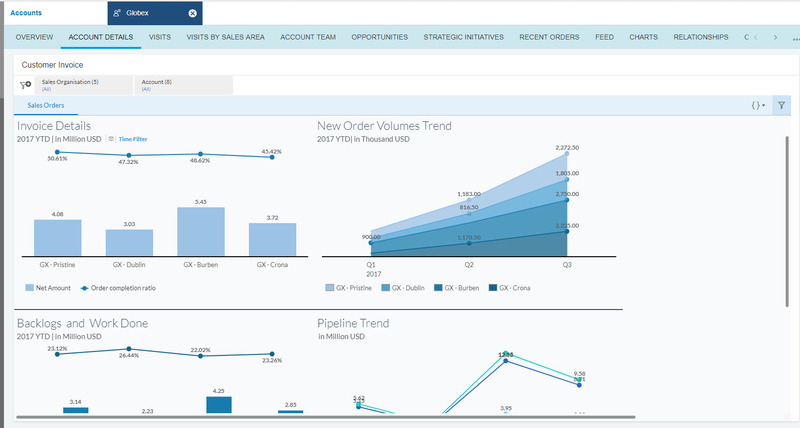 SAP Analytics Cloud (SAC) and SAP Hybris Cloud for Customer (C4C) analytics integration has been tightened further. If you have an SAC report it can be viewed in C4C as a live report. You can play around with your SAC Story and perform all possible actions within the C4C system. To do this you should setup SAC report as a mash-up in C4C. 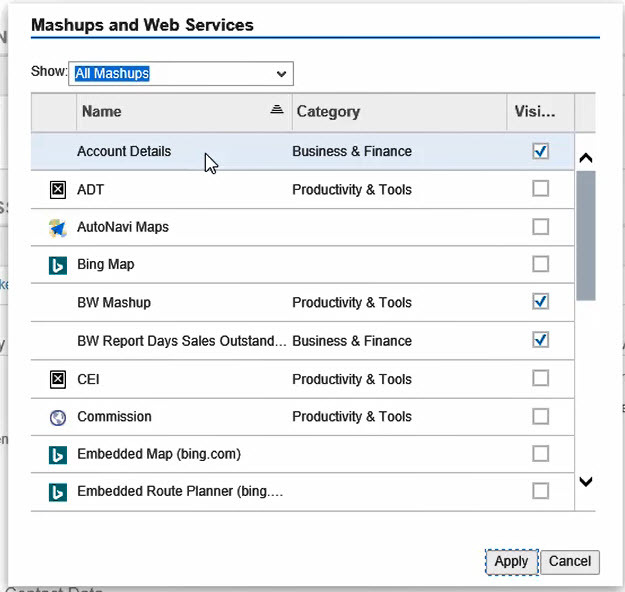 Select Mash-up category and port binding based on your scenario. The example scenario that I am taking here is – I manage a large account called Globex. We get business form multiple Globex subsidiary. When I am going to meet the customer, I would like to have a visibility on all the business we get from each of its subsidiary, what work we completed and what is the Pipeline of opportunities. The data for this report is coming from multiple systems. 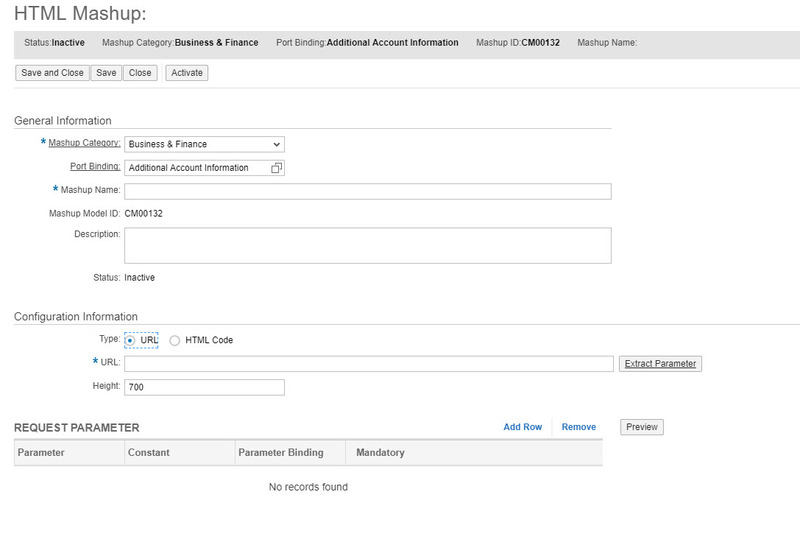 I created a story in C4C that filters on this account and pulls data from both S/4 HANA as well as C4C. 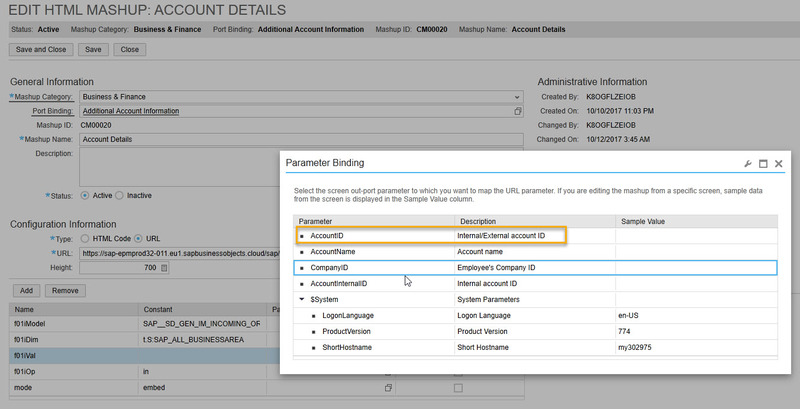 Since this story is relevant for Account Object I selected Port Binding as ‘Additional Account Information’. The Story has multiple reports thus I will need more space to show the data. That’s why the mashup width has been increased to 700. Since we want the Mash-up in C4C to show contextual data we will pass the values from the screen. 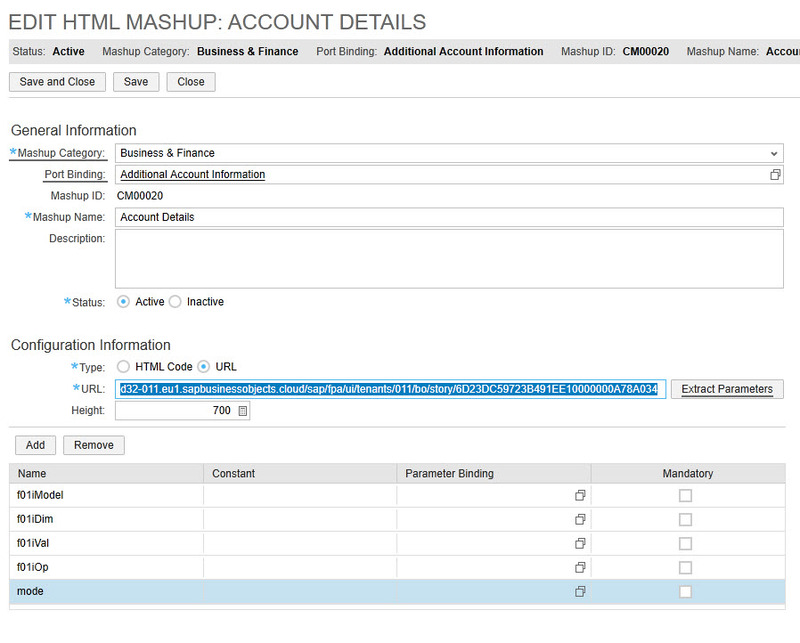 Once the mash-up is saved it will be available to be added in the Account object. Add the mash-up in the appropriate Tab of Account Object. This can be done by an Admin in Adapt mode. Click Adapt->Edit Master Layout and make the mash-up visible. This will enable the end user to analyze the data contextually when he/she is reviewing the account details.